Esther Le Gendre is a management professional with experience in management and communications consulting. She currently heads the operations of the Trinidad and Tobago body responsible for regulation of the auditing and accounting profession. She has served in state, NGOs and private sector multi national and regional corporations in general management, corporate business development, strategic communications, government and public affairs and corporate social responsibility management. As a former Minister of Education, she is experienced in policy development and implementation in education as well as having oversight of sub institutions of the Ministry: The Education Facilities Management Company, The School Nutrition Company and UNESCO – an international affiliate in education, culture and science. In serving as a Member of Parliament, she also supported the promotion of legislation. Ms Le Gendre is a graduate of the University of the West Indies (BA, eMBA) and is certified in Corporate Citizenship by the Boston School of Corporate Citizenship. Since 1992, she has been a part time lecturer at the masters and undergraduate levels in the areas of Strategic Marketing, Consumer Behaviour, Public Relations, Strategic Communications, Organisation Theory and Design. She has served as a national co-ordinator of the global International PR Association and on several state boards in the areas of television media, gas marketing and national-scale event management. At present, she is the Chairman of the Board of Directors of the National Information Communication Technology Company of Trinidad and Tobago, a member of the board of Trinidad and Tobago Free Zones Company Ltd and the Tobago House of Assembly’s Venture Capital Equity Investment Company Ltd.
Dr Sean Rocke is a distinguished lecturer at the University of the West Indies, St. Augustine Campus in Electrical and Computer Engineering. 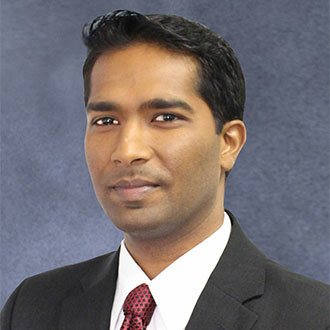 He has co-authored numerous articles for various publications, including books, engineering journals such as the West Indian Journal of Engineering, presentations and workshops at conferences, both regionally and internationally. His career started in teaching Mathematics, Physics and being the Network Administrator at a local College. He subsequently embarked on his academic pursuits that led him to complete his BSc in Electrical and Computer Engineering at the University of the West Indies, graduating at the top of his cohort within the Faculty. His keen interest in Information and Communications Technologies (ICTs) led him to read for a Masters in Communication Management with a focus on Government Policy and Management of ICT Implementation in the UK and then a PhD in Electrical and Computer Engineering in the US, focusing on Next Generation Spectrum Management for Emerging Wireless Technologies. Throughout his academic pursuits, Dr Rocke has been the recipient of numerous scholarships and awards earned by his exemplary work, including National Government, British Chevening and US Fulbright scholarships. 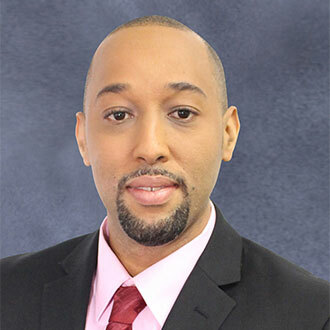 His work in the field has seen him in the industrial sector at PCS Nitrogen and in telecommunications at TSTT as well as academia at leading tertiary institutions. He currently lectures several postgraduate and undergraduate courses in communications systems engineering and conducts research into the deployment of low-cost biotechnology solutions in the Caribbean, additionally leveraging his experiences with ICTs for the Health, Agriculture, Sporting, Disaster Management, and Education Sectors. Dr Rocke has recently served as an Academic Representative on the CTU-initiated Spectrum Management Task Force. He is a member of, and has been the reviewer of various publications for, the Institute of Electrical and Electronic Engineers (IEEE). He is also a member of IEEE Communications Society, the Association of Computing Machinery (ACM) and has been a motivational speaker for the Heroes Foundation. Mr Howard Dottin qualified as a chartered accountant in the 1980s and pursued and completed his Master of Business Administration specializing in marketing and finance in the 1990s. His tenure in accounting and finance have spanned more than 35 years. He has worked in the Public Sector as well as the Private Sector. After auditing stints in both the Inland Revenue Division of the Ministry of Finance and Pannell Fitzpatrick, he moved into the banking sector initially as relationship manager in the Corporate Banking Centre, and subsequently as the chief financial officer of the bank. 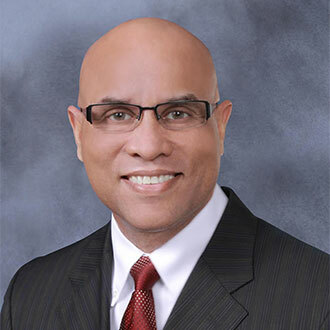 He went on to expand his C-level experience as the Group Chief Financial Officer of one of the largest insurance conglomerates in the Caribbean region. In spite of the demands of his senior postings in the private sector, his passion for lecturing resulted in him sharing his knowledge in the accounting and finance fields (since 1988) to students of accounting and those at the post-graduate level pursuing their MBAs and MSc in Finance. Today, he lectures in three of the post-graduate programmes at the Arthur Lok Jack Graduate School of Business and is the Programme Director for the Master of Science for International Finance. In addition to his current involvement in academia, he also sits on the boards of two private sector companies for which he is the Chairman of one and the Audit Chairman of another. Mr Deepak Maharaj is an enterprising ICT professional currently attached to the North West Regional Health Authority. His developing career in ICT began as a supervisor in IT at a private sector company. He then moved on to more challenges and opportunities in the public sector, at the Ministry of Legal Affairs where he gained valuable experience in the sphere of contract negotiations and project management whilst supervising teams in various projects. Network+ and Microsoft Certified IT Professional (MCITP) certification. At present, he is pursuing Cisco Certified Network Association. Mr Maharaj is eventful in both his professional and community life as he also serves as a spiritual leader within his community. Ms Vashti Maharaj is the current Head Legal, PS Secretariat at the Ministry of the Attorney General and Legal Affairs. Previously, she held similar positions as Head of Legal at the Ministry of Public Administration and Communications, Ministry of Science and Technology and Ministry of Community Development. Her career in the public sector has seen her work at various levels, gaining valuable knowledge and experience that has served her well. In her capacity, she has represented the Ministry on Ministerial or Cabinet Committees with focus on e-Government, e-Commerce, Intellectual Property, Cybercrime and STI Research. 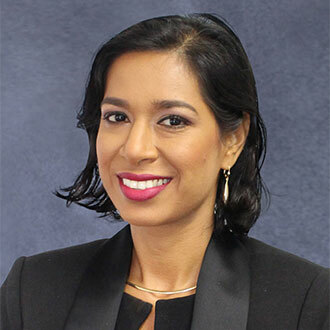 During her time in governmental service, she has served as Chairperson of the National Technical Advisory Committee on Electronic Transactions for Trinidad and Tobago, member of the University of Oxford’s Working Group on Cybersecurity, Policy, Legal and Regulatory Environment. She was also a representative on the National Payment System Council and on several committees dealing with issues from Broadband policy and Strategy to Data Protection and National Security Policy and Strategy for Trinidad and Tobago. 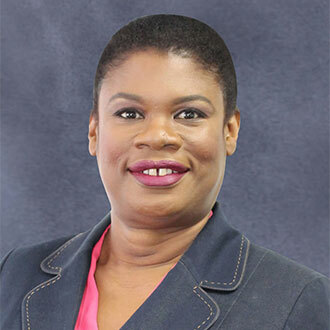 Her extensive training in Information and Communication Technology, Procurement and Contract Management and Strategic Negotiation prepared her for her roles as a Member of the Board of Governors of NIHERST and as a Member of the Board of Directors of the T&T Betting Levy Board. 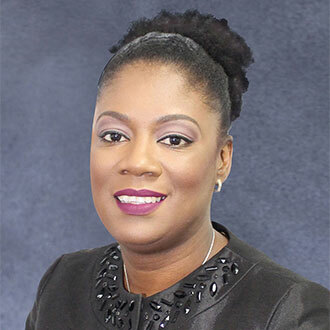 She holds professional memberships in several organisations including The Internet Society, Caribbean Association of Procurement Professionals, Law Association of Trinidad and Tobago and Alumni of the Hugh Wooding Law School. Jacqueline A. Morris teaches in the fields of Educational Technology and Process Engineering at the University of Trinidad and Tobago and works in the fields of Internet technology, Internet Governance and Caribbean ICT issues. She currently sits as the representative from the University of Trinidad and Tobago on the MultiStakeholder Advisory Group of Trinidad and Tobago, (TTMAG) an organisation that works on Internet related policy issues. In the field of Internet Governance, she was a founding member of the WSIS Gender Caucus and was appointed a member of the UN Working Group of Experts on Internet Governance. She has been a member of the Internet Governance Caucus for many years. Ms Morris has also had a long association with ICANN, as an appointed member of ALAC (ICANN ‘s At Large Advisory Committee) from 2005 to 2007, Chair of the ALAC, ALAC liaison to the ccNSO at ICANN, a member of the ALAC BCEC, Associate Chair of the ICANN NomCom in 2010-2011 and a NomCom member for ALAC LAC. 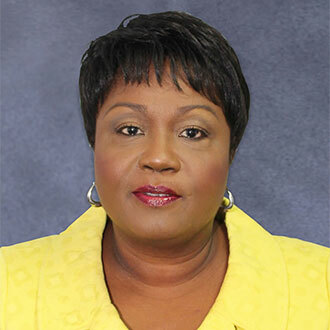 She has also been very active in increasing Caribbean participation in these international fora, having been instrumental in the formation of the LACRALO – ICANN’s first Regional End-User Organisation, as well as administrator of the currently forming CaribTLD, a networking and support organisation for Caribbean ccTLD operators. She has a BSc and MSc in Chemical Engineering, an MS in Engineering Science and is pursuing a Master’s Degree in Higher Education, as well as a PhD in Education Technology. Her research interests focus on innovative uses for technology in the classroom, specifically Flipping, Social Media, Web 2.0 tools, MOOCs and the effects of these tools on the power dynamics in classroom relationships. Mrs Anastacia Samuel-James is the Business Development – Commercial Manager at UDeCOTT. Her career has taken her into various fields within the private and public sectors. She began working in the field of ICT and ascended to managerial positions in the oil and gas sectors, an analyst in a local conglomerate and eventually a consultant in private enterprise. Her impressive skill set ranges from process planning to risk and project management, purchasing and supply to ITIL service management and ICT analytics. These have served her well as her duties over the years have required diverse expertise. Her work in ICT at the Centre for Development Enterprise saw her applying her knowledge in myriad projects. She provided technical assistance to the Caribbean Innovative ICT clusters architecture and market testing for new grant requests for ICT SME’s. As an entrepreneur, she is the managing director of TTEAM Limited and Blu Intelligence Solutions that provide consultancy services for ICT solutions for national institutions and business organisations. Mrs Anastacia Samuel-James is also pursuing a Master’s degree in Innovation and Effectiveness: Public Sector Reform from Arthur Lok Jack.